182.5. 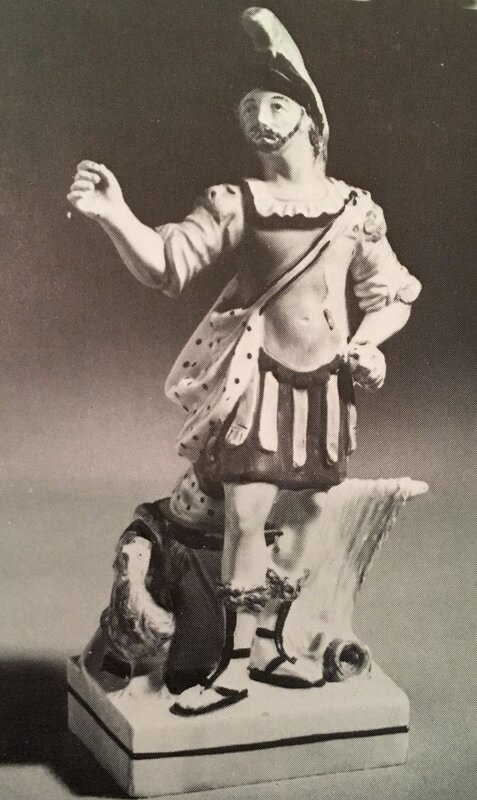 This figure of Mars, like all those shown in Volume 4, seems to be amongst the earlier of early Staffordshire figures, c.1800. 182.6. This figure of Mars is no. 941 in Peter Walton's "Creamare and Other English Pottery at Temple Newsam House, Leeds." Walton notes that the figure is impressed "LEEDS POTTERY" and that it was bought in1938 for GBP18.